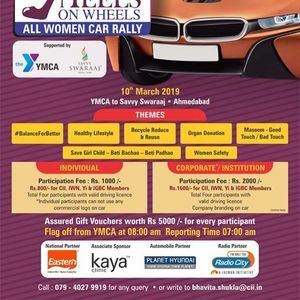 A weekend celebration of International Women’s Day with Heels on Wheels - a car rally from YMCA to Savvy Swaraaj - A'bad. 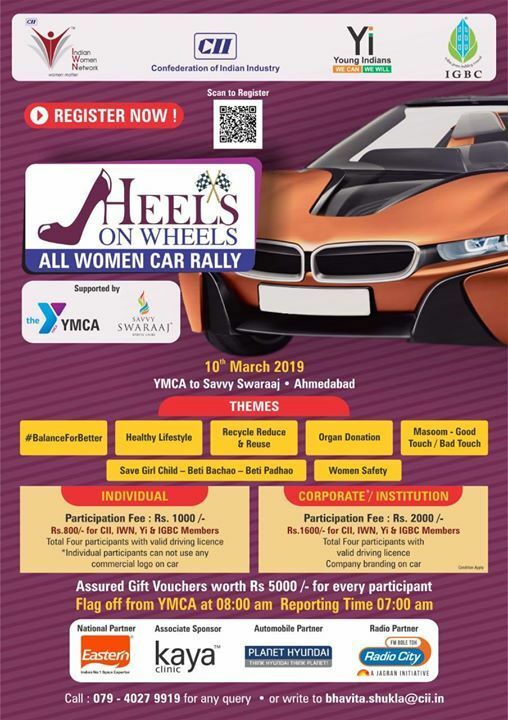 Assured GIFT vouchers worth Rs.5000/- for every participant. Yi Ahmedabad Chapter was launched in October 2006 and presently have young achievers, entrepreneurs and students of renowned institutes of Ahmedabad.